Gameshow & what to expect? I’ve some pretty big news for you guys today. In the wake of the release of album three, the band have been pretty busy what with the release of new tracks, new videos, tour announcements and of course actual touring. This means a lot of other people are busy too, be it their crew or their management, and of course us basement people with the constant sharing new information! At basementpeople.com we’ve worked alongside management on various occasions. They’ve always been very helpful for answering band related questions, site related questions and of course helping us organise competitions. This time however, they’ve outdone themselves. I’m very excited to share this with you guys as it’s been a bit of a secret until now, so here it goes: The lovely people at prolifica management kindly invited me over to their office in London to listen to Gameshow. No, not the song, the whole album, all ten tracks, from Are We Ready? (Wreck) to Je Viens De Là. I won’t say much obviously because it wouldn’t be fair on the band or on you guys, and though I know there are loads of questions you’d like answered, I also know you want to wait and have them answered by listening to the songs yourselves, on the date the band want you to hear them. I will however say this: It’s an absolutely amazing record (surprise? I think not). Two out of the seven songs I hadn’t heard so far sounded something like what I had expected, based on the titles. I was actually pretty impressed with myself, I thought “hey I know these boys pretty well!”. The other five tracks on the other hand were a complete slap in the face, a really good slap in the face though, if that’s possible. There were points where I was just “ok what is this magic”. 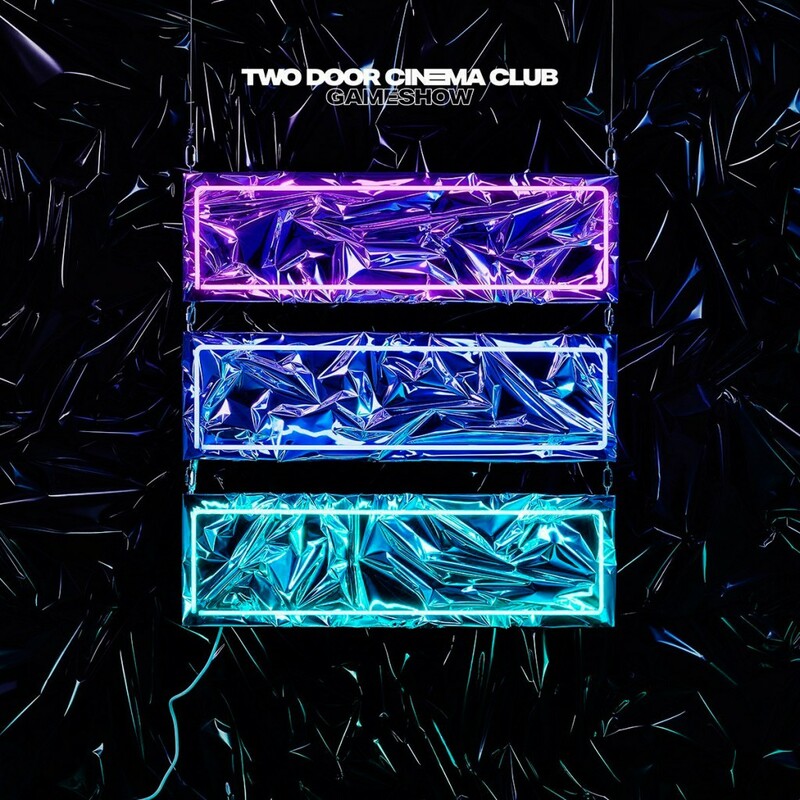 Each time a new song has been released off Gameshow, I’ve said that though they sound different, they still sound like Two Door. Well, some of the songs you guys are yet to hear are nothing like what you’ve heard from the band before. “You think you know, you don’t know”, hey? Again I won’t go into any detail but the songs are really really good, and the general feel to the record is miles away from what I was expecting. Based on Are We Ready? (Wreck), Bad Decisions and Gameshow I’d imagined the record going in a certain direction, and well it absolutely did not. I do still feel like I know them though, because even if I didn’t hear what I had imagined I’d hear, I do know that that’s what they’ll have wanted: to surprise us and blow us all away. You know it as well as I do guys, “many surprises await you”! Needless to say the whole experience was surreal. I don’t know London at all and had focused so much on getting to the office that by the time I actually got there I’d kind of forgotton what I was going there for in the first place. It hit me just as I arrived, “I’m going to hear Two Door’s new album!” and that thought had me completely lost for words so I kind of just sat there, hardly believing how lucky I was. It was an absolute pleasure to go to London and live such a unique experience and an honor to have been offered such a chance. A big thank you to prolifica and more specifically to Colin and Lauren, it was a pleasure meeting you guys at last, a big thank you to Two Door for making yet another amazing album, and a big thank you to my fellow basement people for making this fan community live and making such opporunities possible! I’m more excited than ever now for you guys to hear the whole thing. One more week and we can finally discuss the amazingness that is Gameshow together! Until such time, keep well and I’ll be in touch soon! This entry was posted in Site News on October 6, 2016 by Saoirse.